Perfect for weddings and anniversaries, our In the Mood shows are a pick of songs all about love! In the Mood is just one of our many radio shows that make up a Jeep Jump Jive DJ set at a vintage or outdoor event. 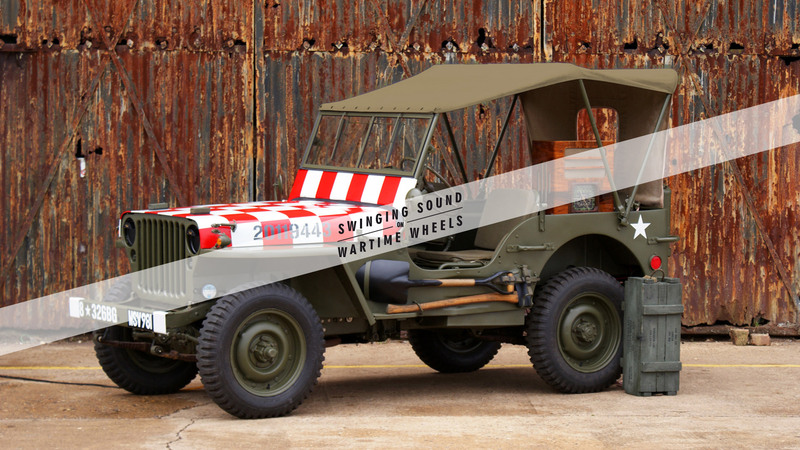 Jeep Jump Jive is swinging sound on wartime wheels. There is no vintage DJ more unique and evocative than Jeep Jump Jive, with the 1942 USAAF Ford Willys Jeep that comes alive to blast out all the jazz and swing big band greats from its vintage radio. Click here to find out more about hiring Jeep Jump Jive to DJ your outdoor event.